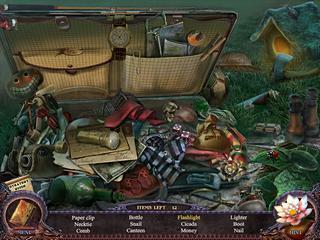 Here's another hidden object puzzle adventure game with yet another rescue your friend from the evil forces story. Secrets of the Dark: Eclipse Mountain features some really nice challenges and audio-visuals. Your task is to rescue your friend by travelling around both old and new oriental world. At the first glance at Secrets of the Dark: Eclipse Mountain, it didn't seem like a hit game for me. The graphics are not that impressive and the story isn't that new. But after a while it became obvious that there's some great content in it. You are going to play in Thailand. Your task is to rescue your friend by travelling around both old and new oriental world. So if you are a fan of myths and dragons and power figures, you'll enjoy it even more. The game offers 7 chapters in one of three modes of difficulty. There's a strategy guide, that doesn't follow you, but stays where you left. The hiddne object scenes are all interactive with some inventory items. There are also special items that add a new taste to the game. You explore them by yourself. 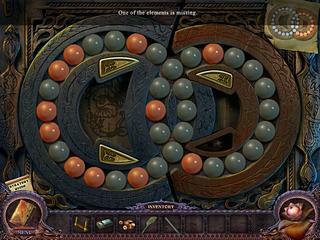 The puzzles range in their difficulty level. Some of them even repeat as you play. There's lots of going back and forth too. All in all, the game is really good. There's something to cling to. This is Secrets of the Dark: Eclipse Mountain review. Download this game here.